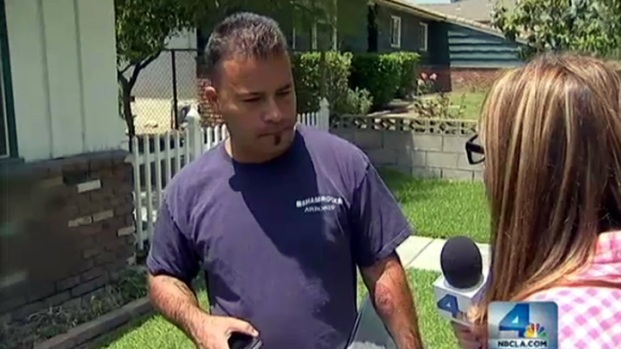 Frank “Corky” Quatrino and his daughter were watching NBC4 News and saw the story of Regina Aleman, who was moving her three children to 29 Palms military base to be with her husband when an unlicensed contractor she found online left her with a hefty bill and an unfinished yard. At his daughter’s suggestion, Quatrino, who owns Lakeview Patio in Huntington Beach, decided to help the Alemans. In an attempt to fix up her house and rent it out while the family moved to the military base, Regina hired Jonathan Rede to landscape their back yard after she found his ad on Craigslist. Rede said he could do the job for $1,700 and asked for a deposit of $1,000 – more than 50 percent and far more than the 10 percent deposit allowed by law. Regina Aleman and her three young children wanted to move to 29 Palms Military Base to be with her husband, Marine Sergeant Christopher Aleman. But first, Regina needed the backyard of their house in Upland landscaped so she could rent it. She says a contractor she found on Craigslist disappeared after she wrote him a check for 1,000 dollars. Ana Garcia reports for the NBC4 News at 11 p.m. on May 23, 2012. Experts say when customers pay too much money up front, there is little incentive for the contractor to actually do the work – a lesson Regina learned the hard way. She wrote the check, but said Rede abandoned the job shortly thereafter then, she said, repeatedly ignored her phone calls. When Rede stopped working on Regina’s backyard, it was a barren blight, nothing but dirt, and filled with debris. Quatrino got Purchase Green to donate the synthetic turf it manufactures, and Quatrino donated his time and workers to transform the yard into a lush oasis for new renters to enjoy. “It makes me feel good that I am able to help somebody.” Quatrino said. Regina and her kids have now been reunited with her husband and their father, Marine Sgt. Christopher Aleman, on base. They plan to rent their house soon. During the first investigation, a Get Garcia producer called Rede and asked him to come out to give her an estimate on her yard. Rede wanted $1,055 for the job and a $250 deposit. That was nearly 25 percent of the estimate – again, more than the 10 percent allowed by state law. What Rede did not know was that NBC4 News consumer reporter Ana Garcia was inside the house and wanted to talk to him. “Hi, Jonathan Rede, Ana Garcia with NBC 4 News. We’ve been looking for you,” Garcia told Rede. Rede denied that he owed the Alemans $1,000. “I told them to take me to court,” Rede told Garcia, adding that he was working without a license. 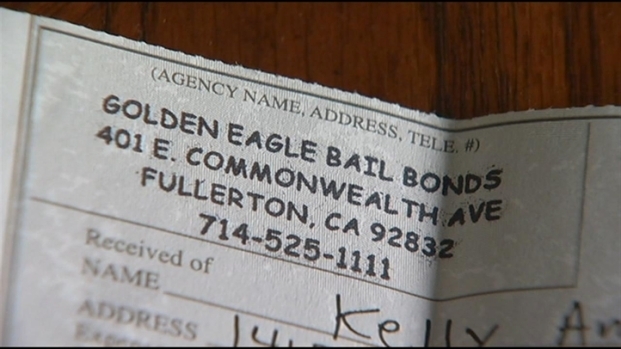 The Contractors License Board says the best way to protect against phony contractors is to verify their license. If you have a tip for the "Get Garcia, Get Results" team, email GetGarcia@nbcuni.com or call our tip hotline at (818) 520-TIPS.